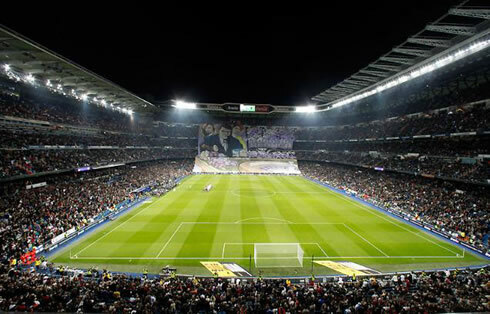 Real Madrid and Atletico Madrid clashed in the Santiago Bernabéu last night, in the first Madrid derby of the season. The Merengues grabbed another win, after beating their city rivals by 4-1, in a match where Cristiano Ronaldo added 2 more goals to his tally, allowing him to become the topgoalscorer in La Liga, with 16 goals in 13 matches. This Saturday night, Real Madrid hosted and beat Atletico Madrid by 4-1, in a match which the "Colchoneros" approached with a very agressive stance right from the start. After resting in the mid-week's UEFA Champions League fixture, Cristiano Ronaldo was naturally a starter for this game and, as usual, he played a decisive role in the "remontada" that crashed and defeated Atletico Madrid, by scoring 2 goals from the penalty spot. Angel Di María and Gonzalo Higuaín would also hit the back of the net during the 2nd half, in a game where Atletico Madrid saw 2 players being sent off. The match started with great intensity, with both teams attempting to score an early goal. However, and without Real or Atletico Madrid being able to create dangerous situations in the first minutes, the "Colchoneros" managed to pull off a good team play near the 15th minute, which put Adrián face to face with Iker Casillas, allowing him to score the opener. José Mourinho was certainly not expecting to suffer such an early goal, but Real Madrid showed they are a team who can deal very well with adversity and immediatly put Atletico Madrid against the ropes. As usual, Mourinho's half-time talk seem to have produced an instant effect and Real Madrid took the lead with just 4 minutes played in the 2nd half, after a great assist from Cristiano Ronaldo to Angel di María, who striked the ball to an empty net. The "Merengues" had the game controlled, but preserving a 1 goal lead is always dangerous, so the 3-1 would come naturally, near the 65th minute. Gonzalo Higuaín showed his quick reaction skills, after seizing an opportunity that was originated in an a weird distraction from Atletico Madrid's defenders. With still 25 minutes aheadin the game, Atletico Madrid wasn't showing enough strenghts to pose a real threat to Real Madrid's ambitions, so the "Merengues" played a bit with the clock, and didn't take too many risks further on. Close to the 81th minute, Cristiano Ronaldo used his backheel to return a pass to Gonzalo Higuaín, leaving the Argentinian with only the goalkeeper to beat. However, Godín was fast to reach and ended up by fouling Higuaín, leaving no other choice to the referee than showing him the red card and awarding Real Madrid with another penalty-kick. Once again, Cristiano Ronaldo didn't miss and set the final score to 4-1, surpassing Lionel Messi as La Liga's top goalscorer. CR7 now has 16 goals in 13 matches, while Messi counts with 15 goals out of 13 games as well. With this victory over Atletico Madrid, Real Madrid extended their lead to 6 points in the Spanish "La Liga", takind advantage of the fact that Barcelona got surprisingly defeated last night against Getafe, by 1-0. Being just two "La Liga" fixtures away from the "El Clasico" between Real Madrid and Barcelona (which will be held next December 10), this 6 points lead margin can be exactly what José Mourinho was looking for, in order to be able to approach this epic game with a different mentality than in recent encounters the two clubs had. You may check a complete Real Madrid schedule and fixtures in our Schedule section. 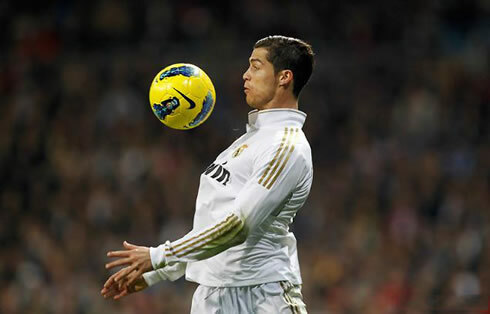 Real Madrid next match is against Sporting Gijon, for "La Liga" in the 3rd of December. In the meanwhile, you can watch tomorrow Siena vs Inter Milan, as well as Marseille vs PSG and also Liverpool vs Manchester City for the English Premier League, all available from our football live streams.